Prominent in the lineup of the Central Ball Club of the Vancouver Senior League this season are Clare Johns, pitcher, and Tommy Jardine, left fielder. 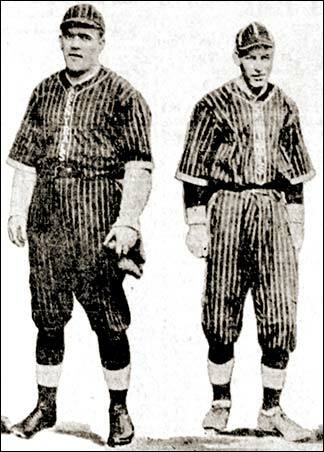 Johns pitched the greater part of the opening game with the Elks and was credited with the victory. Last fall in the Commercial League playoff series with Arnold & Quigley, Johns turned in four victories for the Cardinal crew. Jardine was the leading hitter of the Commercial League last season, clicking the apple for an average better than .400. This season he has got off to a good start with the stick.